George Batterham’s Retirement party at Holbrook Club. Photo courtesy of Astrid North. George Batterham’s Retirement Party at Holbrook Club. Back left – Frank Batterham, Sam Mallinder, Wilf Brookfield. Head of table – George Batterham, Clifford Batterham, George Wilson. 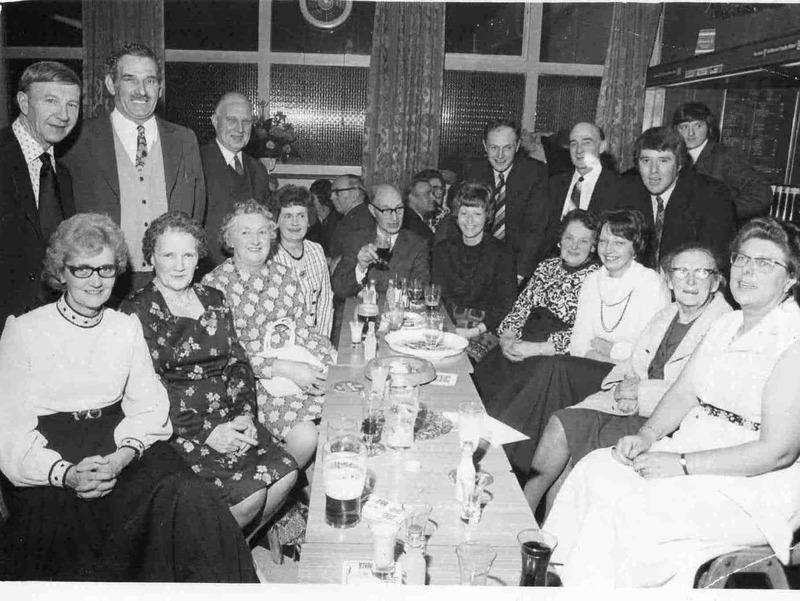 Seated from left – Doreen Batterham, Connie Mallinder, Annie Brookfield, ? Davidson, Lynn Batterham, Ada Batterham, Anne Wilson, ? ?, Edna Batterham.